The producers of Twenty-One saw Charles Van Doren's handsomeness and polite demeanor as a way to boost their ratings. 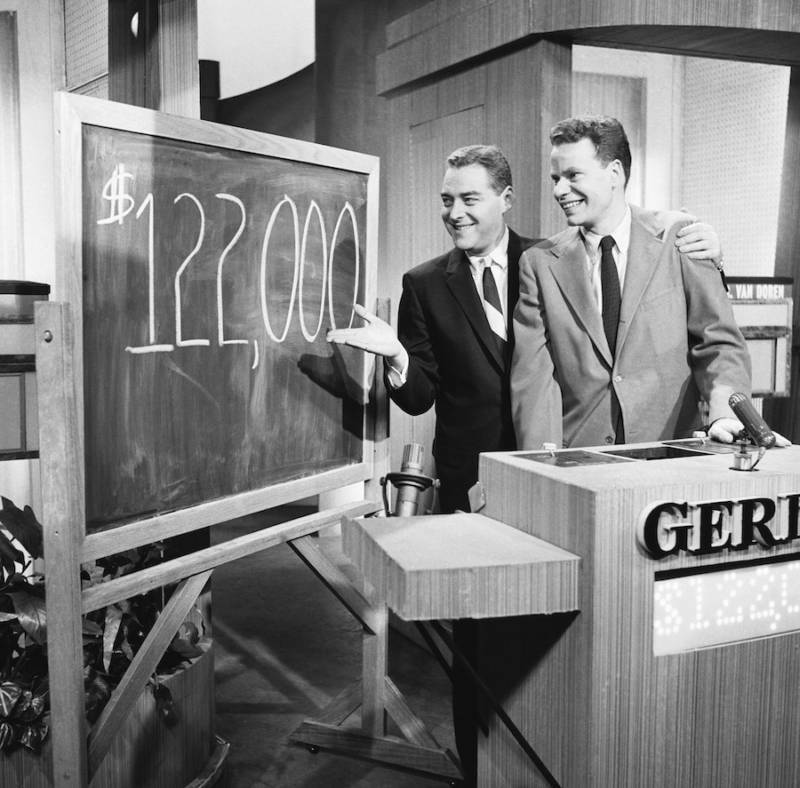 Getty ImagesCharles Van Doren on the game show Twenty-One. That’s what Charles Van Doren told the U.S Congress in 1959. It was only two years prior that Van Doren was on the cover of magazines and beloved by the American public for his astounding intelligence displayed on the TV game show Twenty-One. But the scandals that uncovered the seedy truth about American game shows in the 1950s rocked the public. And Charles Van Doren, the Columbia graduate and professor, was at the heart of it all. Charles Van Doren was born on Feb. 12, 1926 in New York City to parents established in the literary world. His father was a Pulitzer Prize-winning poet and professor at Columbia University. His mother was a novelist. Van Doren followed in his parents’ footsteps, earning a Liberal Arts degree from St. John’s College in Maryland. He went on to receive an M.A in astrophysics and a Ph.D. in English at Columbia. In addition, he also studied at Cambridge University. While working as an English instructor at Columbia, Van Doren met Albert Freedman, a co-producer of the game show Twenty-One, through a mutual friend. Freedman, along with producer Dan Enright, was impressed with Van Doren’s handsomeness and polite demeanor, and thought he would make an excellent candidate to defeat Twenty-One‘s current champion, Herb Stempel. They saw Van Doren as a man who could provide a boost to the show’s ratings that had been lackluster as of late. Van Doren asked how that could be done. Freedman replied that the host, Jack Barry, would simply ask a question that Stempel wouldn’t be able to answer and that Van Doren would. As Freedman swore it would stay between the two of them, it was in that moment Van Foren realized the show was fixed. Nevertheless, he agreed. 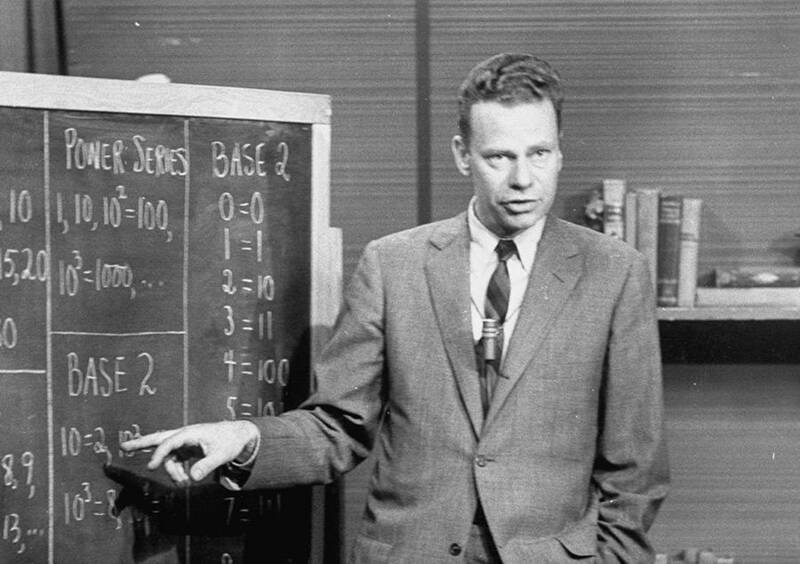 Charles Van Doren’s first appearance on Twenty-One was Nov. 28, 1956. Herb Stempel had been on the show for six weeks and had already won around $70,000. Things went as planned. Van Doren answered a question correctly, Stempel answered incorrectly, and a new champion was born. Between 1956 and 1957, Van Doren graced television screens in the homes of millions of Americans for 14 straight weeks. As he answered question after question correctly, the public grew fond of him. He had a naturally charming disposition, was well spoken, and smart. Beyond just a well-educated professor, people saw Charles Van Doren as wholesome and an embodiment of trustworthiness. He was an American sweetheart. By January 1957, Van Doren had earned more than $129,000 (over $1.1 million today) and in February, he was featured on the cover of TIME magazine. Wikimedia CommonsCharles Van Doren losing to fellow contestant Vivienne Nearing. 1957. His Twenty-One run ended on March 11 of that year when he lost to a lawyer named Vivienne Nearing. Afterward, NBC offered him a three-year contract, and he subsequently became a cultural correspondent on The Today Show. 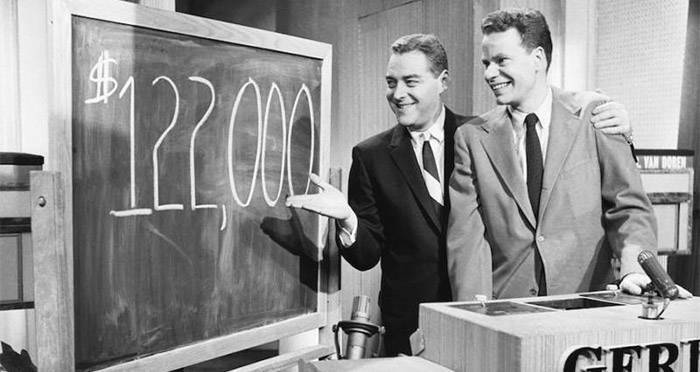 Though Charles Van Doren’s streak as Twenty-One’s champion had ended, scandals involving the quiz show were just heating up. 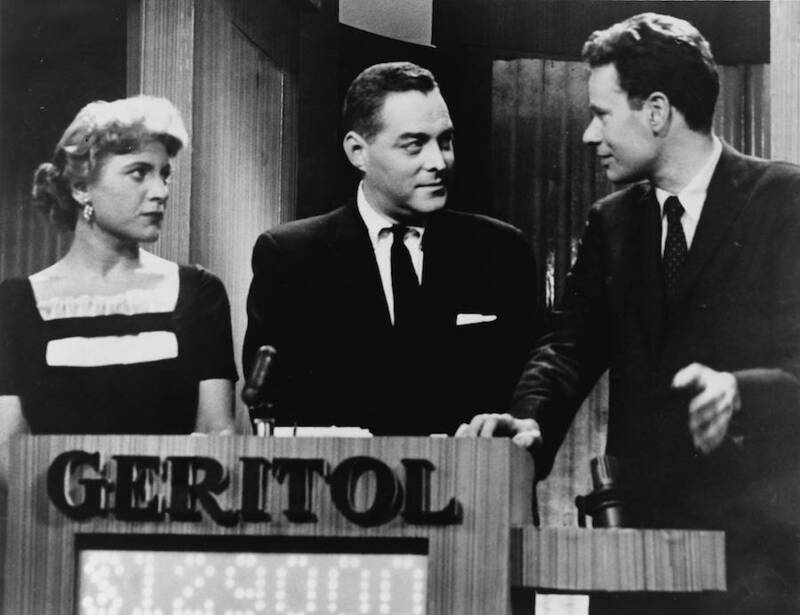 Around 1955, it was revealed that a different show, The $64,000 Question, was being manipulated by the producers in an attempt to stop a female contestant from winning the grand prize. From there on, a series of revelations exposed the assistance of producers to control the outcomes of popular television quiz shows. But after enough scandals were exposed, there was an investigation into the scandals by the district attorney’s office and then the U.S. Congress in the summer of 1959. During these investigations, the formal congressional subcommittee led by Congressional investigator Richard Goodwin subpoenaed Van Doren, who then went into hiding. The jig was up when James Snodgrass, another former Twenty-One contestant, came forward. Snodgrass had documented all the answers he was coached on in the form of letters he had mailed to himself before the show was taped. The documentation provided corroborating proof that the show was indeed rigged. 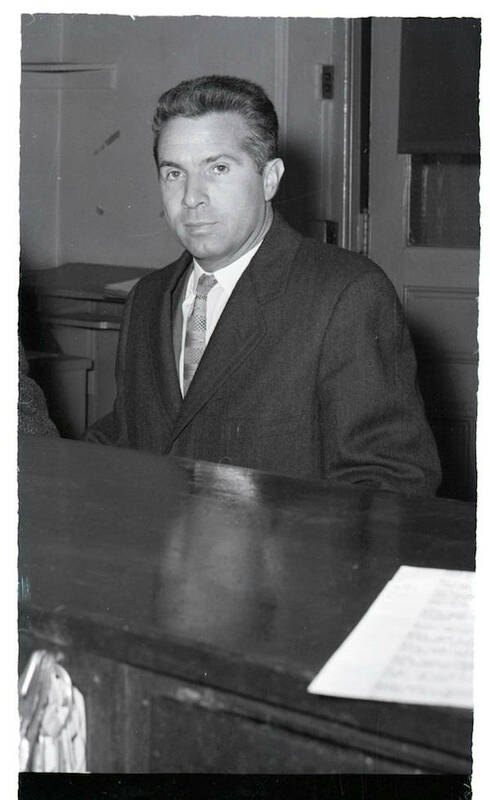 Van Doren then came out of hiding to confess in front of the committee and the nation that he had participated in the scandal. Getty ImagesJournalists photograph Charles Van Doren as he testifies before the House Legislative Oversight Committee. 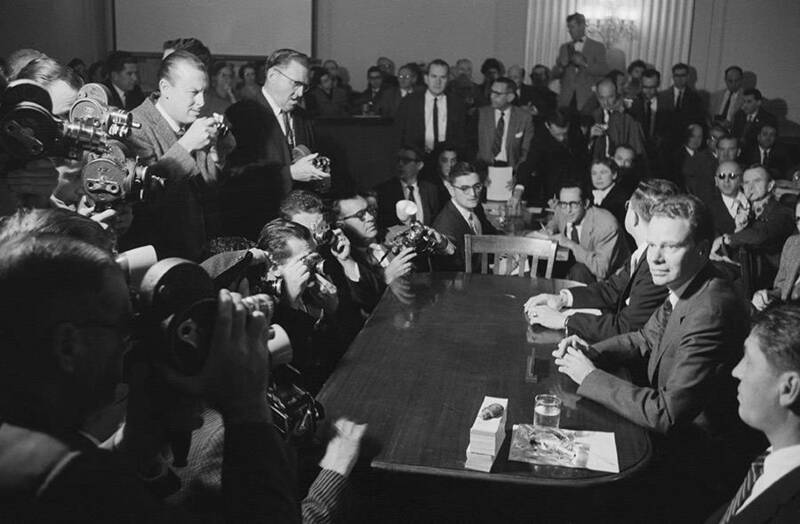 On Nov. 2, 1959, Charles Van Doren pleaded guilty to perjury for lying to the House Subcommittee on Legislative Oversight about his part in the game show fraud. He admitted that he had been given both questions and answers ahead of time. In the aftermath of his statement, the committee members praised Van Doren for coming clean and for his sincerity. The crowd at the hearing applauded him as well. NBC dropped Van Doren from the network and he left his job at Columbia. He went on to become an editor for a book publishing company, a writer under a pseudonym, and an editor of the Encyclopædia Britannica. In 2005, Van Doren became an adjunct professor of English at the University of Connecticut. In 1994, Quiz Show, a film on the scandal was released and went on to be nominated for several Academy-Awards including Best Picture. For many years, Van Doren declined interviews related to his part in the quiz show scandal. It was only in 2008 when he wrote a long expose for the New Yorker that his version of events came out. Next, read about these vintage Hollywood scandals and about Victor Lustig, the conman who sold the Eiffel Tower twice.